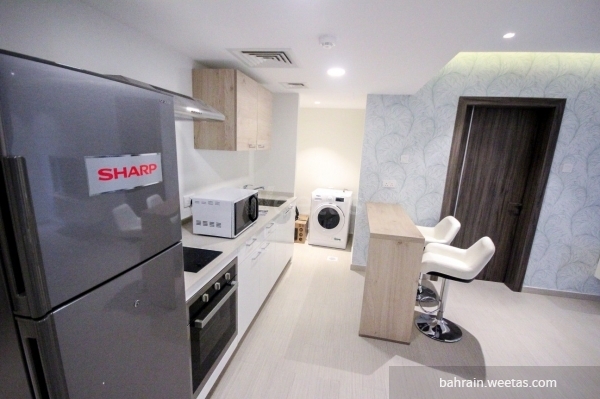 A brand new and fully furnished flat for rent. 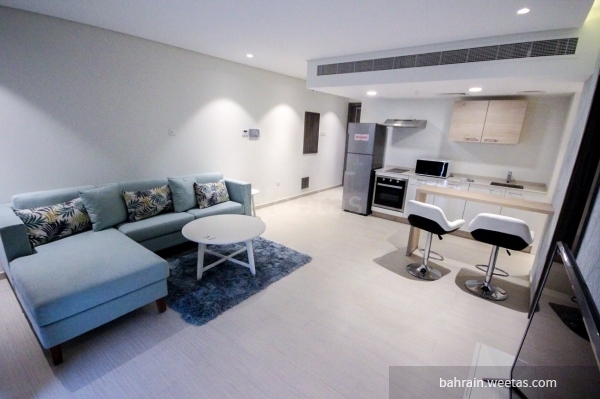 The Apartment is located in a perfect location in Busaiteen, near the royal college. 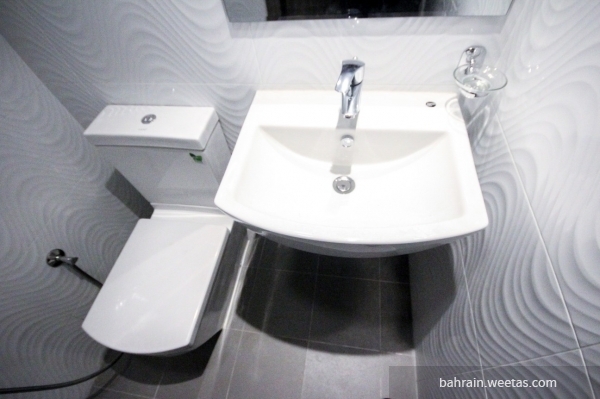 It has been provided by all the facilities. 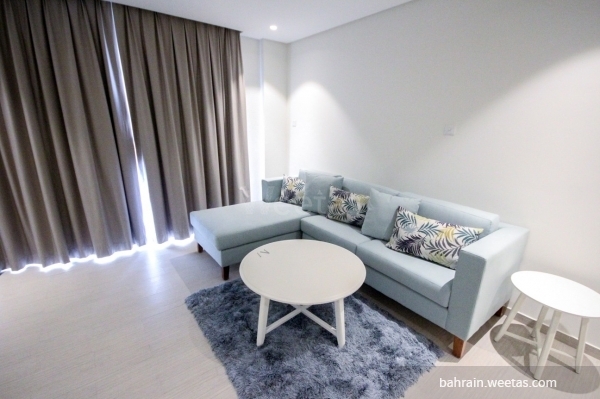 This flat includes one bedroom, 2 bathrooms, and a fully equipped open kitchen. 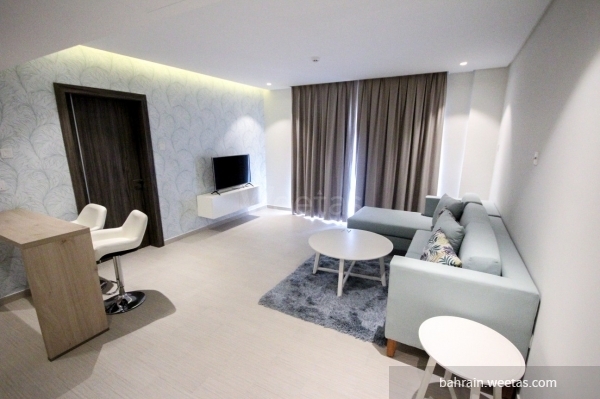 It also has a dining table and a fancy living room. 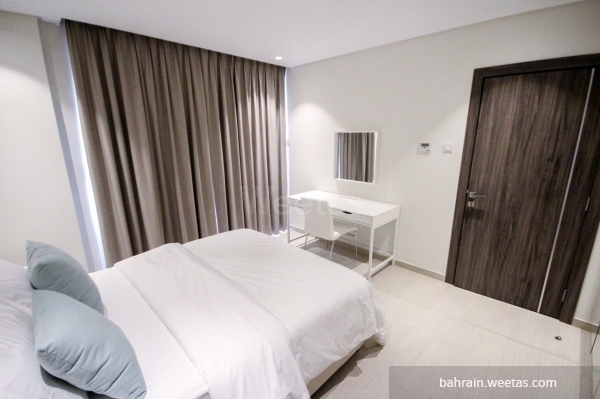 The facilities like 24/7 security system, swimming pool, a space for car parking and gym are provided in the luxurious building. 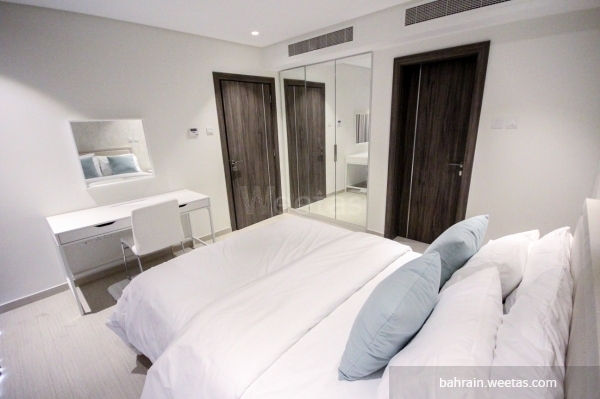 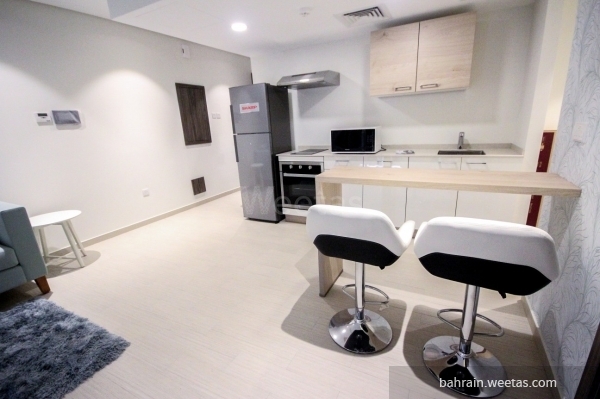 This flat is offered by weetas for rent price 500 Bahraini dinars including all the facilities.